The latest from prolific filmmaker Michael Coulombe – released through his YouTube channel – is a marvellously unsettling exercise in minimalistic horror. A young woman (Taylor Murphy-Sinclair) immersed in the technological world that consumes us all (earphones, laptop, Smart Phone) receives an audio file accompanied by an image of a skull on her computer screen. The words “do it” are repeated over and over again. 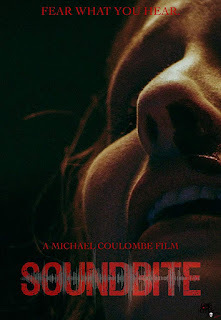 Coulombe’s short joins an increasing number of technophobic 21st century horror films designed for our screen-dominated culture and destined to be watched on the kind of devices it demonises. Other than the disturbing, disembodied verbal instructions, it is devoid of dialogue and dominated by Nicholas Basil’s eerie soundscape. Murphy-Sinclair impresses as her character heads inexorably toward a bloody, disturbing punchline. For full effect, watch it on a laptop with noise-isolating headphones late at night in an empty house.